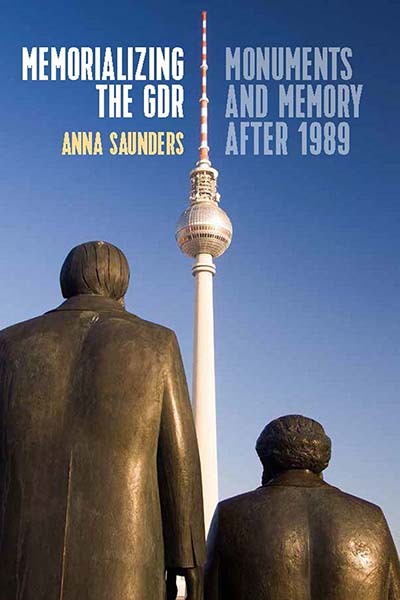 by Anna Saunders, author of Memorializing the GDR: Monuments and Memory after 1989. Recent years have witnessed fierce debates about the existence of controversial monuments around the world – most notably Confederate monuments and memorials, but also numerous structures built in honour of wealthy benefactors with murky pasts. The outcomes of such debacles have been varied. In the UK, Oriel College, Oxford, has recently stated its intention to keep its statue of Cecil Rhodes, whereas Bristol’s Colston Hall – named after the slave trader Edward Colston – will be renamed when it reopens in 2020. It seems that the future of monuments may be limited. Yet this depends on our understanding of the role of such structures. In this context, it is worth casting an eye towards Germany, a country whose twentieth century history has prompted the destruction – and construction – of monuments and memorials at a pace rivalled by few others. From Imperialism to National Socialism, East German socialism and various forms of democracy, each German regime has had to take a view on the concrete legacies of its predecessors, as well as make decisions about how best to memorialise the heroes or victims of the recent past, if at all. The result in recent years has often been a deeper, more thoughtful engagement with the concept of the monument, and a real attempt to negotiate moral questions of historical responsibility. This has been most prominent with Holocaust memorials, for the need to remember the victims of National Socialism in a united Germany – one which can no longer point a finger to the ‘other’, more culpable Germany across the Iron Curtain – has become a fundamental part of the contemporary state’s self-understanding. 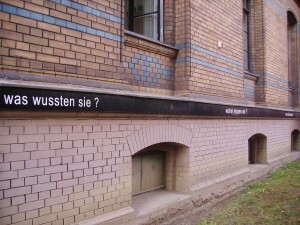 Whether embodied in Berlin’s central Memorial to the Murdered Jews of Europe, or in the dispersed Stolpersteine (brass plaques placed in the ground outside the former homes of Holocaust victims), engagement has been varied and creative, provoking engagement with the notions of absence, fragility and transience. This is a far cry from traditional monumental trends of upstanding material solidity, permanence and grandeur. Commemoration of the most recent chapter of German history – the demise of the German Democratic Republic (GDR) and the unification of Germany – has received much less scholarly attention, yet also provokes a rethinking of the way in which we engage with memorial culture. On the one hand, the question of what to do with former socialist memorials, often gigantic in proportion, has motivated a range of responses: from destruction to adaptation, relocation or protection. On the other hand, questions concerning how to remember different aspects of the socialist regime without reproducing binary Cold War style propaganda have proven to be challenging. The afterlife of GDR monuments demonstrates the way in which the meaning of monuments can shift dramatically over time. While a number of colossal structures were controversially removed in the early years after unification – such as the 19 metre high statue of Lenin in the centre of East Berlin – a large number have also survived, often taking on new symbolism. 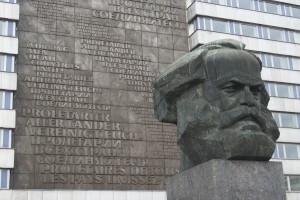 The gigantic head of Marx, for instance, built in 1971 as the icon of Karl-Marx-Stadt (now Chemnitz), was something of an embarrassment to the town in the early 1990s, being omitted from town guides and picture postcards. In recent years, however, it has once again become a focal point of the town, serving as a location for protest and as a starting point for demonstrations. This harks back to the role it played in 1989, when the statue served as the start and end point of demonstrations, with Marx becoming a ‘patron saint’ of the reform movement, symbolising the ‘true’ values of Marxism, in contrast to the corrupt reality of life in socialist East Germany. Following in this tradition, the giant head has now become unofficially repurposed as a feisty symbol of social equality in neoliberal times, far from its originally intended propagandistic purpose. Elsewhere, monuments have been relocated, contextualised through signage or even, in the case of Halle’s Flag Monument, redesigned for contemporary times. 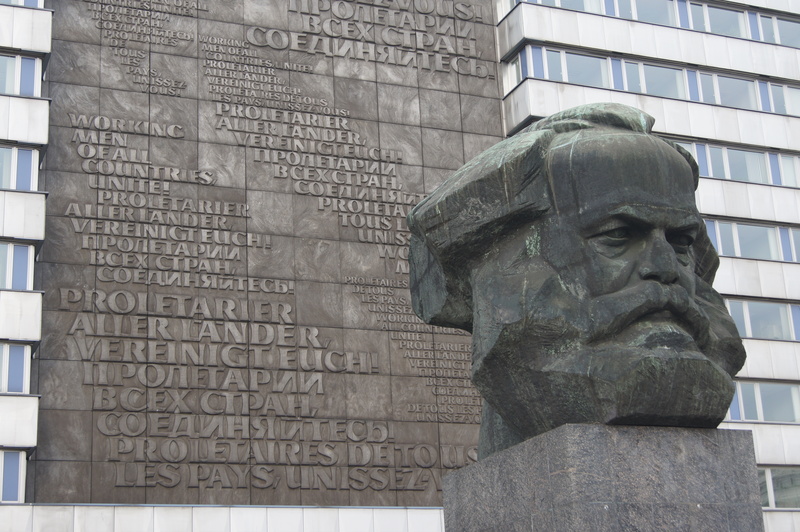 These socialist relics doubtless still provoke, and this is part of their continuing role; in contrast to the desire to whitewash the past, they stand not only as historical documents, but also as symbols of an active desire to engage with history. Beyond debates over former socialist monuments, East German towns have also faced decisions over how best to mark former sites of injustice, such as Soviet special camps, Stasi prisons or sites of repression. Often, however, the histories of sites were little known or slow to emerge, and the distinction between victims and perpetrators was sometimes blurred – particularly in special camps, where many internees had been involved in the National Socialist regime. 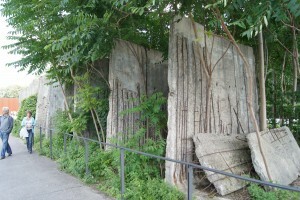 The innovative memorialisation of one former Soviet interrogation centre and subsequent Stasi prison in Berlin – ‘Haus 3’ on Prenzlauer Allee – provides an intriguing example of how memorialisation processes need not necessarily provide answers to such conundrums, but may instead recognise the on-going nature of historical research and pose sometimes uncomfortable questions. Here, the artist Karla Sachse has placed approximately sixty questions on a black band stretching around the building. These are inspired by her reading of eyewitness reports, and range from ‘who shut the iron door?’ and ‘how cold was the wall?’ to ‘when did a poem help?’, ‘what did they know’ or simply ‘why?’. The questions force residents and passers-by to enter into dialogue with the building, encouraging them to investigate further and reflect on its past. While the installation provides no immediate answers, it raises awareness of this past and arouses a curiosity that traditional monuments often fail to do. Questions relating to Berlin Wall remembrance have also proven contentious over the years, especially in light of land ownership issues, conflicting interest groups and the need for a divided city to unite. During the 1990s and 2000s it became clear that competing sites of memory were providing alternative – and sometimes conflicting – forms of remembrance. The result has been a ‘Gesamtkonzept’, or ‘integrated concept’ for Wall remembrance in the city, which brings together all sites under one umbrella, recognising the value of different approaches and the multiplicity of memory. The site that has become the centrepiece of this concept – the Berlin Wall Memorial Site on Bernauer Straße – also encapsulates this approach. Instead of presenting the visitor with a reconstruction of the Wall and the border strip, the site encourages visitors to identify its different historical layers through its material remains, meaning that active engagement is needed in order to decipher the site. 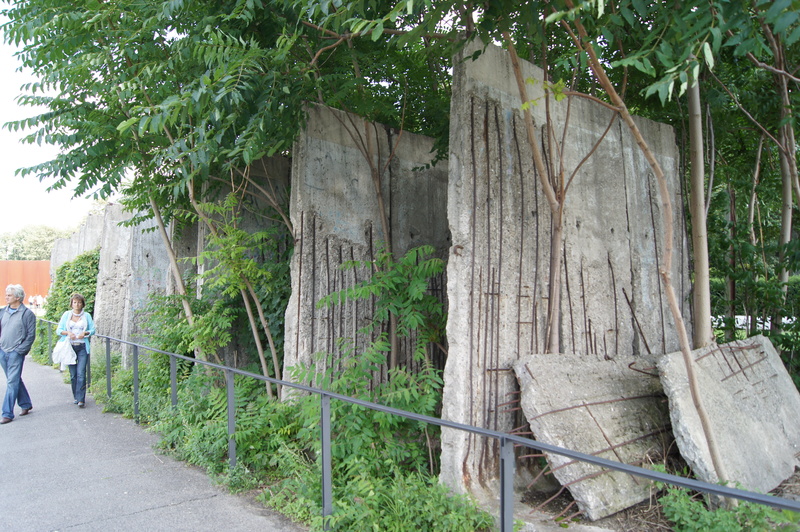 This principle even applies to post-unification events, with segments of Wall being stacked up at one location; removed by a local parish priest in 1997 in anger at proposed memorial plans, they now serve as a reminder of the difficulties of Wall remembrance in the early years of unification. The emphasis on documentation has also resulted in an inclusive approach to commemoration, with a steel column dedicated to the memory of eight border guards who lost their lives at the Wall. While this is carefully separated from the main ‘Window of Commemoration’, at which the Wall’s victims are remembered, it clearly complicates any clear-cut notions of ‘victims’ and ‘perpetrators’, and provokes visitors to question assumed binaries. As in recent debates in the USA and elsewhere, memorial engagement in united Germany has often been highly controversial. What is significant in the German context is a frequent willingness to question historical narratives and interrogate processes of remembering through the memorial process. Here it is widely recognised that dealing with the past in a responsible manner is often a slow and arduous process, and one that cannot be solved through the simple erection or destruction of a material structure. Indeed, rather than embodying collective memory, such structures serve as sites of interaction, discussion and meaning-making. As shown in the east German case, monuments and memorials are perhaps best understood as a starting point – not an end point – for a society’s engagement with its past. If understood in this way, they may still have a future.